Slice the bread. Cut the slices into equally thin strips (soldiers). Heat up the widest frying pan you have. Throw the bread soldiers in and toast until crispy and nice golden brown on each side. Toss them around regularly. Do not use any oil or butter! Meanwhile: In a large bowl mix extra virgin olive oil with crushed garlic (use garlic press). When the bread pieces are ready and toasted from each side, throw them in the bowl and using a spoon/your hands/ pastry brush coat the soldiers with the mix. Transfer back in the pan and fry for about 2 minutes. Make sure you don’t burn the garlic. Serve in a bowl! 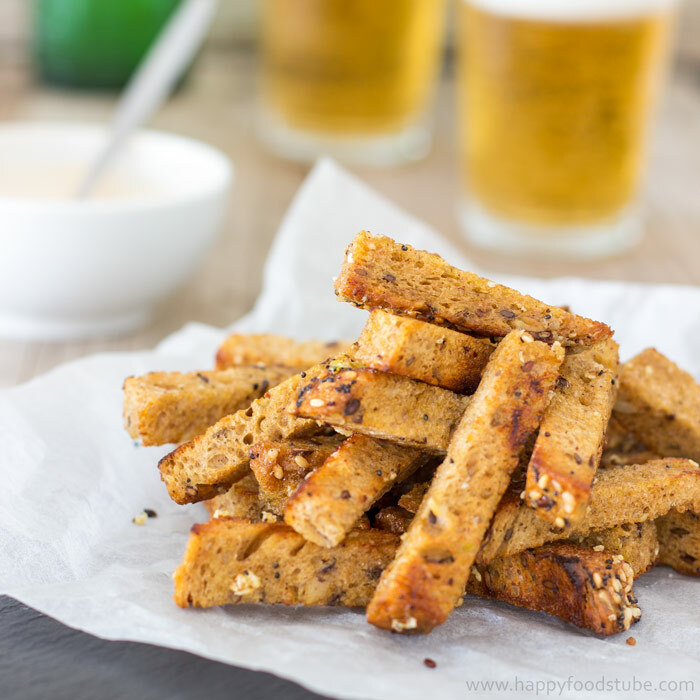 This snack is best enjoyed with beer! 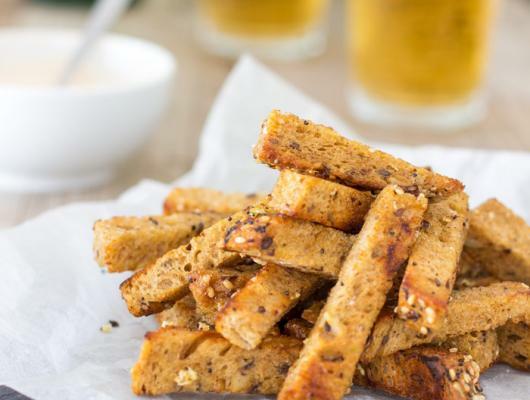 These “soldiers” make an incredible snack that goes hand in hand with beer. Crispy stripes of sourdough bread dry-fried and coated in olive oil + garlic.